For years, the French National Railways has been analysing traffic at railway crossings using MetroCount equipment. Very recently, the Public Infrastructure Manager for the Belgian Railways – Infrabel decided to follow their example. Infrabel maintains about 1000 level crossings across the country. For starters, they have purchased four RoadPod® PhaseT units. They will be used to identify unreliable crossings and take downsizing decisions. To facilitate the setup of the first counter, our CEO (Mike Kenny) and Technical Specialist (Clément Dabadie) travelled to Charleroi. 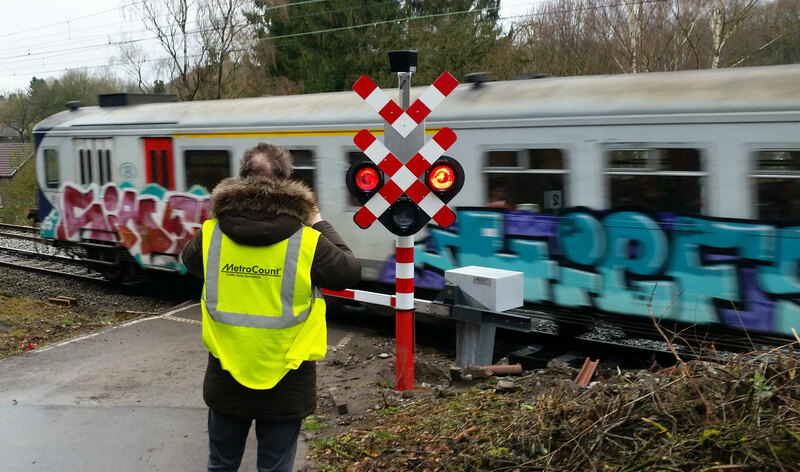 At a level crossing outside the town centre, they met the Infrabel team – the Industrial Engineer, the Signalling Engineer and the Tracks Manager. There has been an initial reluctance to connecting the unit to the live signals. To suppress these concerns, we measured the counter’s input impedance. As expected, the PhaseT had little impact on the circuit performance. Additional tests were conducted by connecting the fibre optic directly to the red light (“lens method”). Once again, the counter worked flawlessly. Infrabel needs to identify the level crossings where drivers are more likely to commit traffic violations (i.e. running red lights, speeding up). The PhaseT is undoubtedly the most efficient technology to answer their questions. 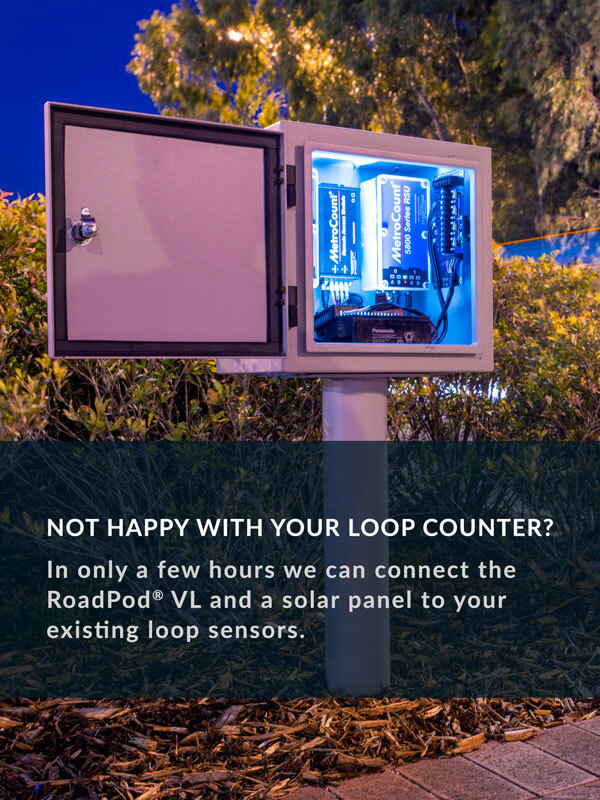 The RoadPod® PhaseT is a one of a kind system which uses pneumatic tubes and fibre optic to collect information about driver behaviour at signalised intersections. This data feeds back into the MTE software. Here, the user can customise their Phase Map, indicating precisely the timing of signals (e.g. minutes the barrier is down). This easy, but fundamental step enables the accurate synchronisation of traffic and phase data.